Anyone browsing the U.K. government’s first list of online marketplaces publicly committed to combating value-added tax fraud will probably recognize two of the three named companies. 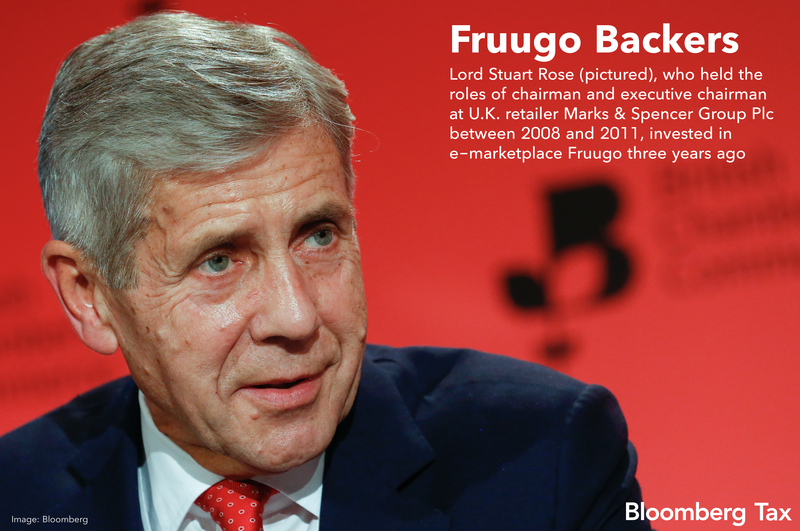 Less familiar may be Fruugo.com Ltd., the U.K. e-marketplace listed with Amazon.com Inc. and eBay Inc., which counts past chairmen of Nokia Oyj and Marks & Spencer Group Plc as its investors. Set up in Finland, Fruugo operates across more than 30 countries and moved its headquarters to Ulverston, north-west England after its current management team acquired the company in 2012. 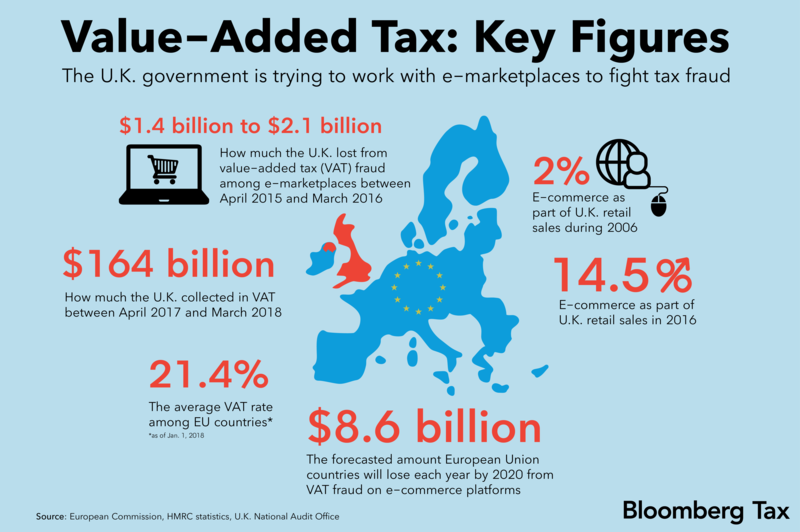 More recently, signing up to the U.K.’s latest efforts to target VAT fraud among e-marketplaces fitted well with Fruugo’s business strategy, Chief Financial Officer Darren Naylor told Bloomberg Tax. Her Majesty’s Revenue and Customs, the U.K. tax agency, “called us a while ago, and we said we’re happy to sign up as it’s what we’re trying to do anyway: be whiter than white,” he said in a May 30 interview. Published May 29, HMRC’s public list citing Amazon, eBay and Fruugo followed its call last month for e-marketplaces to publicly commit to tackling VAT fraud among traders using their online platforms. The move is a milestone in the tax authority’s efforts to work with companies on compliance. Targeting VAT fraud among online marketplaces has become a priority for HMRC, largely due to foreign traders skirting the levy on their sales to consumers based in the country. In turn, this evasion undercuts U.K. traders and online sellers as they must charge VAT on their sold goods. Specifically, HMRC has asked e-marketplaces to sign up to educating their users on VAT obligations, provide data on traders, and react swiftly to evidence of non-compliance. Any business that fails to uphold the agreement’s standards will be removed from it, according to an April 25 news release. HMRC’s collaboration with online marketplaces also marks a significant change from five years ago. Back then, HMRC didn’t have a cohesive plan to deal with the growing threat that overseas traders on e-marketplaces posed to the U.K.’s tax take, the National Audit Office said in an April 2017 report. Overall, VAT fraud from overseas e-marketplace traders costs HMRC as much as 1.5 billion pounds ($2 billion) a year, with most of the problematic traders selling from China, the report added. Levied on the sale price of goods or services, VAT is a key source of the U.K.’s public finances, making up 21 percent of the government’s tax receipts in the latest financial year. The U.K. introduced the tax, currently set at 20 percent, in the early 1970s as part of its membership of the European Union. Fruugo doesn’t have Chinese retailers among its traders, who only sell new products and total almost 700 in number, Naylor said. HMRC’s agreement will give a chance to help Fruugo’s non-EU retailers, and may even provide a chance for the company to bolster its business, he added. In a May 29 statement, HMRC praised the commitment shown so far from the likes of Fruugo and Amazon, and encouraged other online marketplaces active in the U.K. to follow their example.